When white nationalists and their supporters clashed with counter-demonstrators in the college town of Charlottesville over the removal of a Confederate statue, resulting in the death of one anti-racist activist and the wounding of thirty-five more, a signal moment in American history was reached. Suddenly, U.S. citizens who had previously thought of themselves as moderate began to wonder whether violence in defending their values against fellow citizens was not only an option, but a necessity—whether the way American history has been commonly presented is not only unfair but inaccurate; whether the current President is to blame for the sudden visibility of white supremacist groups; and finally, whether a surge in racism and ultra-nationalism is irrevocably re-shaping the country. Charlottesville: Before & Beyond untangles the meaning of the events that unfolded last August. Part One of the book documents and comments upon the immediate aftermath of the violence. Part Two addresses the context, both before and after, for interpreting the violence: essays reflect on the social and cultural landscape of the nation, the role of the media, and the logic of “punching Nazis in the face.” Including writing by Eric Anthamatten, Nicholas Baer, Wes Bellamy, Keval Bhatt, Vaughn A. Booker, Andrew Boyer, Maria Bucur, Jordan Dunn, Mindy Fullilove, Laura Goldblatt, Jeffrey C. Goldfarb, Maggie Hennefeld, Christopher Howard-Woods, Jeffrey Isaac, Michael Sasha King, Mitchell Kosters, Jared Loggins, Gordon Mantler, Marcus McCullough, Rachel McKinney, Julia Ott, Claire Potter, Isaac Ariail Reed, Neil Roberts, Melvin Rogers, Sanford Schram, Siva Vaidhyanathan, Michael Weinman, Leonard A. Williams, and Deva Woodly. 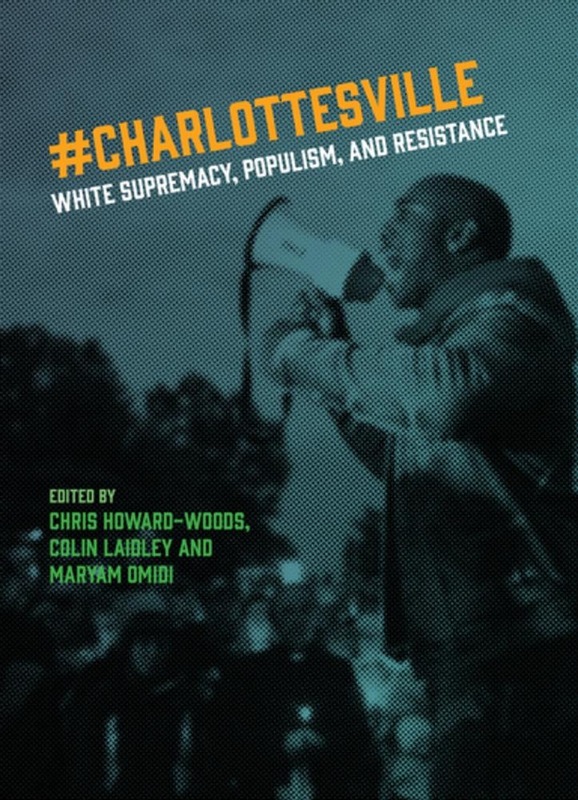 Acquista Charlottesville in Epub: dopo aver letto l’ebook Charlottesville di ti invitiamo a lasciarci una Recensione qui sotto: sarà utile agli utenti che non abbiano ancora letto questo libro e che vogliano avere delle opinioni altrui. L’opinione su di un libro è molto soggettiva e per questo leggere eventuali recensioni negative non ci dovrà frenare dall’acquisto, anzi dovrà spingerci ad acquistare il libro in fretta per poter dire la nostra ed eventualmente smentire quanto commentato da altri, contribuendo ad arricchire più possibile i commenti e dare sempre più spunti di confronto al pubblico online.